Matching up with the requirements of our clients, we are involved in offering Corrugated Plain Packaging Box. 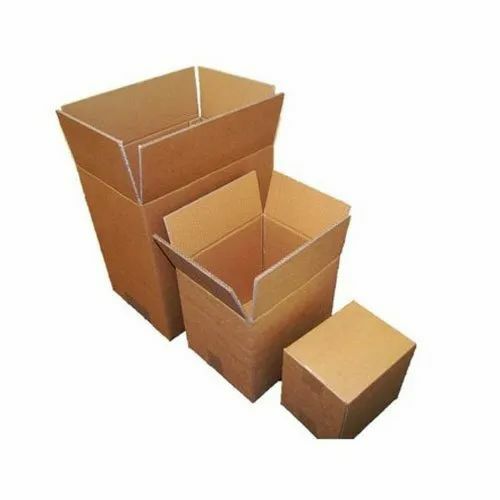 Our organization, Pooja Cartons and Containers Private Limited, was founded in the year 2004 as a prime Manufacturer and Supplier of Packing Boxes. Our reputation within the industry is attributed to the production of an infallible range of packaging products which include Corrugated Boxes, Multicolor Duplex Cartons and FMCG Carton Box amongst a range of varying products. Our endeavor remains to provide specialized packaging solutions to our clients with customized solutions to fulfill their pertaining needs. We maintain effective communication to tend to their exact needs and provide services in economical ranges. We value our clients and maintain ethical business practices while welcoming new associations within our circle on a regular basis.